2016. gada vasarā LBB JSS vadītāja Elīna Sniedze piedalījās Igaunijas bibliotekāru biedrības Jauno speciālistu kluba veidotajā nometnē – Biblicamp. 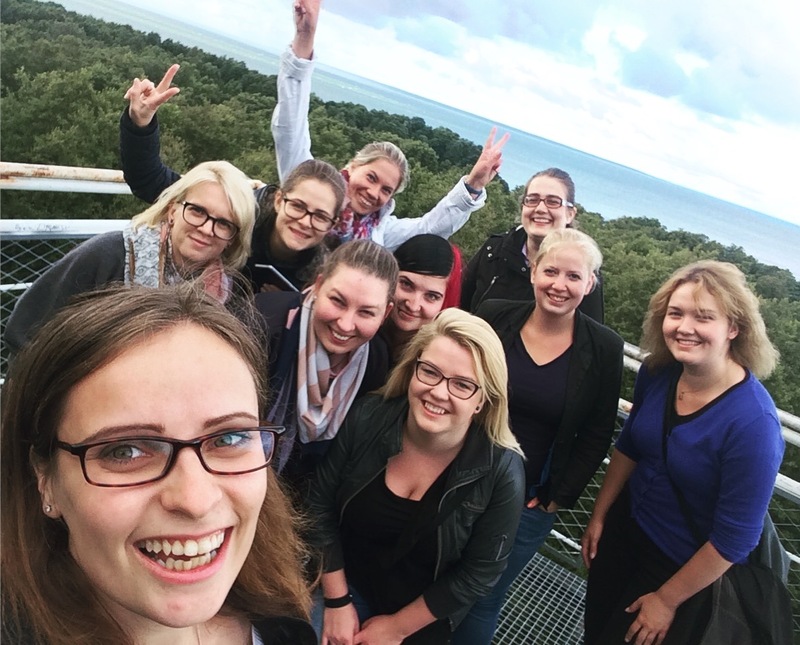 The ELA Young Professionals Club held its third summer camp at The Police and Border Guard College of Estonian Academy of Security Sciences at Muraste. The library in its different forms has been experiencing changes for a very long time. The first libraries emerged as the collections of different government, economic and other important documents at the time when people felt the need to acknowledge themselves. This need has persisted, but the role of the libraries has changed a lot through time and it will certainly continue to change. A contemporary library is definitely a memory institution in a traditional sense, but it is also a learning and activity center and serves as a community and cultural center. The library can also be in a digital environment, its existence isn’t dependent on the physical space. 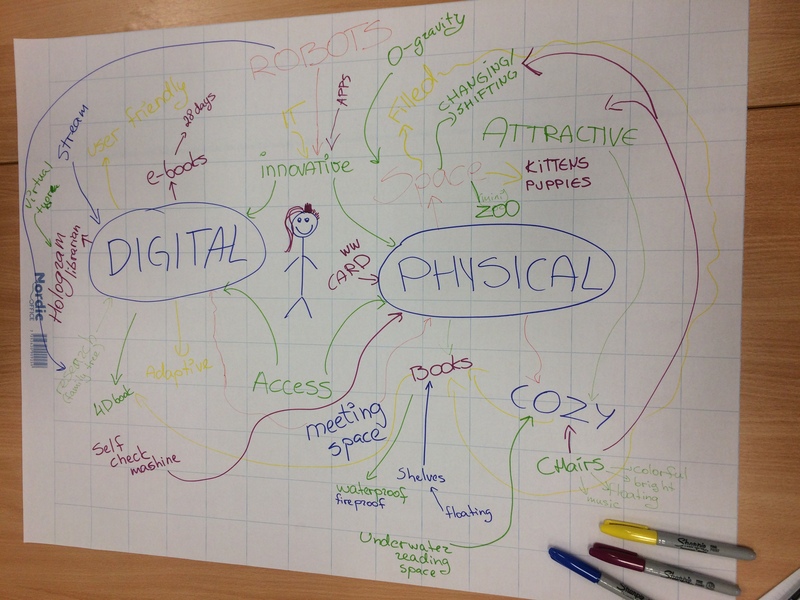 Mindmap created as a result of Biblicamp. 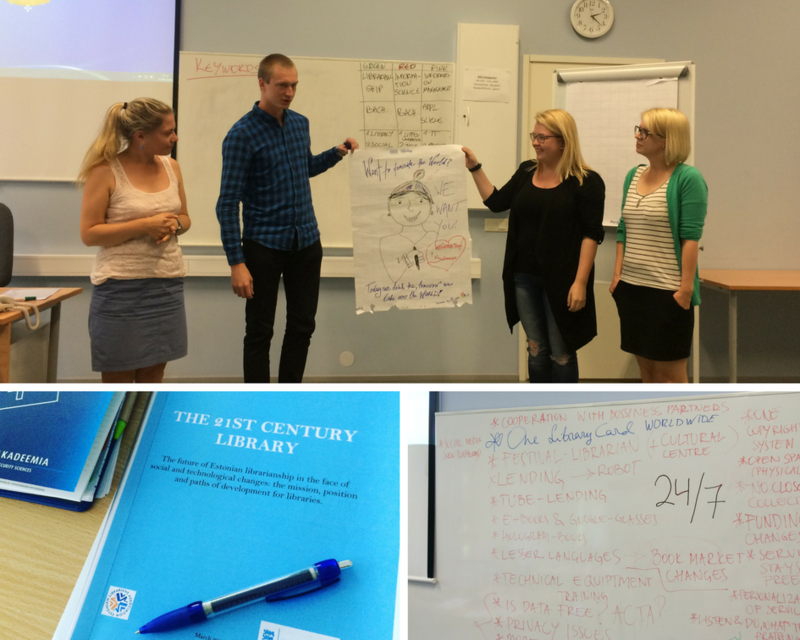 The goal of the last year’s ELA Young Professionals Club summer camp, “BibliCamp 3 – Library in 2035”, was to get acquainted with the vision document of Estonian libraries and to think without limits about future libraries. We wanted to create a Utopian vision about the services of the future library, the skills of a future librarian, and the physical and digital space of the library. As emerged from our discussions, the keywords of the future library are availability and convenience in a broad sense. The first thing we think about regarding the services of the library are borrowing and returning. In bigger libraries, it is common that in addition to borrowing and returning books via a librarian one can also use self-service machines. This makes the main service of the library easy and fast for the readers, while they maintain the freedom to choose. We can assume that machines are here to stay and their development will continue. This means that the library’s borrowing process will become more automated and the responsibility for properly borrowed books is greatly placed on the reader. Keeping in mind the usability and usage purposes, we could implement special bar code scanners that the readers can carry with them and use to borrow the wanted book at a suitable time and place. Later, when the reader returns the scanner and exits the library, the system would check the borrowings. Security gates would notify of any problems. Relating to automatic processes and availability it would also be possible to develop a home delivery service. In today’s society, we have people whose access to the library is limited (for example, due to physical disability, location of the library or its opening hours). The delivery robot that makes its test-drives near Tallinn University of Technology could offer a possible solution once its technology is more advanced and successfully applied in providing a home delivery service for libraries. This would mean that the reader ordering a book could choose the delivery time. Just as the borrowing process can be easier with the help of robots, the same applies in the returning process, too. For example, a special place to return the books could be set up at a local shop or center, and the returned books would make their way back to the library with the help of a robot. Biblicamp in action. Photo by Elīna Sniedze. Technological solutions could be used elsewhere – when we think on a broader scale, it is apparent that library is used by people with very different requests and needs. In a globalizing western society, where one’s life quality is closely related to the principles of lifelong learning, we should think of solutions that would help to achieve these goals. However, we must consider the fact that the increasing web-based social communication leads to the situation where more people do not know how or are not able to communicate in the real world. A good example in that case are the so-called reading dogs used in the libraries – the dogs help children overcome their social fears and are a great help when the latter are learning to read. The same principle could be applied when the library provides a special robot who would help people improve their communication skills and build self-confidence. At the same time, the robot could be used for learning new languages and practicing foreign language speaking skills. The multifaceted nature of the future library would enable to integrate career counselling to libraries. It is more difficult to find a suitable profession in the world of many outputs and possibilities, and it is harder to make a change for those who have already made their choice but feel that they need a new challenge in their life. Career counselling service in the library would be available for everyone and help would reach a large amount of people. The library could also offer training programs for using technological means, especially since we live in times when the importance of technology is increasing and it can happen that some people cannot keep up with changes and accept everything new. One also has to keep in mind that the amount of modern technologies will probably be even more abundant in 20 years and the trends will change more quickly, and therefore, updates will occur with increased steps. The availability of technology training in the library is undoubtedly important in order to keep up with it and increase personal skills and abilities. As previously mentioned, a significant complement to the library’s physical collection is the accessibility to digital collections. In order to improve accessibility to the libraries and their resources, establishing a state library system is necessary. Nowadays we have numerous databases that enable the library readers to get access to large amounts of information and data, but these are often expensive and with limited access. Moreover, they tend to be in different environments and may be confusing to the user. The future of the libraries should provide Estonians an easier access to digital collections regardless of the users’ location and technology skills. However, the focus is not on scientific data sets, which may not be so vital to a regular user. What we have in mind is rather a large compact electronic system that contains necessary information resources that would facilitate better service for all readers. In addition, it would let the users to decide whether they would like to read an e-book or a printed book. We do not predict the disappearance of the latter, but we think that all published information sources will also be in electronic version. From the point of view of the reader, a compact system would bring an update in the form of a library card that would be valid in all Estonian libraries. For example, this would give the parents of a newborn baby an opportunity to register their child as a user in the library immediately. With a consent from the parents, the data about the newborn child would reach the database of the library, meaning that every new citizen would get library access rights. The compact library system would also give way to an extensive cooperation between the libraries. It would enable implementing changes area-wide, not individually in every library. The future library could also cooperate with several businesses. For example, a technology company could manage libraries’ technology services, a business selling office supplies could help organize training and workshops, etc. This means that not only the owner of the library would manage the library, but the community and local businesses should be ready to make their contribution as well, and libraries should be ready for that cooperation. When describing the space of the future library, one could sum it up with words spaciousness, user-centeredness, accessibility, and openness. It is important for the present and future users of the library that the library is accessible anytime – in the physical and digital sense – therefore, the location and opening times of the library are certainly important. Ideally, the future library is open round the clock and its location is easily accessible. It is not as utopic as it sounds because that kind of libraries are already parts of some countries’ practices, but in the future, that kind of approach will not be an exception but a norm instead. Of course, this requires effective transport connections and good access to all parts of the building – big lifts, automatic doors, and plenty of space to move around. Access to library collections is equally important, meaning that there are no restrictions to the collections and readers can access the whole library. Digital vs Physical space. Photo by Elīna Sniedze. The future trend of the physical space of the library is probably its multi-functionality. The library is spacious, light and could be rearranged according to one’s needs (easily movable walls, technical means and furniture). The walls of the building have several functions – for example, they could be dimmed according to weather conditions or used for making notes. Tablets attached to the wall would enable quick access to the digital collections as well as help with determining the physical location of a book. Sitting areas designed mainly for user comfort could be combined and moved. The library as a community center would enable people to gather for events such as live TV broadcasts. Special rooms equipped with technology could be used for project meetings. It would also be possible to rent a room with office supplies, individual workrooms and rooms equipped with virtual reality technology. Moreover, the library would have special rooms for quiet work, a dedicated playing area, rooms for meditation, and special sleeping pods. People with pets or little children would be welcome in the library with special areas just for them. The library staff would have a well-equipped rest area for making breaks as well. Staff workplaces would have ergonomic design and proper technology for the comfort of the worker and the library user. Special meeting rooms would enable the staff to carry out undisturbed consultation sessions with the reader. Thinking of the future, we must take into account that the environment in which the library operates has changed. For example, we can facilitate creating a cleaner environment by using energy-efficient solutions in the construction and design of the library (solar batteries, recycling wastewater, etc). Taking a walk in the woods or in a park may not be inherent to us in a rapidly urbanizing environment, but the library could provide clever solutions for that. For example, a garden could be set up on the roof of the library building where one could organize outdoor events or enjoy the nature. The digital space of the library with its electronic collections and virtual shelves also provides many opportunities and is accessible anytime and anywhere. The only condition is that the user is a registered reader. The wide spread of smart devices enables making necessary mobile apps, e.g. a virtual tour app that introduces the library even if the reader is at home. We could create an interactive map app for users that often visit the library, so that one could see the number of free work spaces in the library as well as the number of free devices and rooms. That kind of application would help the user get an overview of the library without visiting and enable a better time planning. In the light of all the changes, the librarians also have to keep up with the updates and constantly refresh and learn new skills. A librarian working in a multifaceted future library is very open-minded, creative, and supportive. The librarian is also knowledgeable about different technological updates, knows how to implement the latter in the working process and supports the users. Future poster for LIS studies. Photo by Elīna Sniedze. Good social skills that help interact with users and understand their needs accompany the profession of a librarian, too. Our open world gives the people a greater ability to move and explore, so these world explorers will find their way to the library more often. Since the library serves as a community center, it is important that librarians understand the variations between the cultures of different people, and one can only benefit from knowing the most widely used languages. The future librarian should also be capable to carry out events and manage projects. A library where interesting and educative events take place is certainly a place where one would return. Therefore, one can say that the future librarian is a unique information specialist with a broad knowledge spectrum. It is obvious that we cannot really predict the future; nevertheless, we should talk about the possible developments. ELA Young Professionals summer event provided a good opportunity to think outside the borders and share our thoughts with others. It was interesting to note that the visions about the future were, on the one hand, similar, but on the other hand, varied in many ways. All participants were encouraged to think ahead of the present moment and let their imagination fly. It was not easy to find a consensus in some topics, but everyone agreed that future libraries are establishments with versatile services, spacious rooms, and innovative solutions that are managed by information specialists with high social and technology skills. 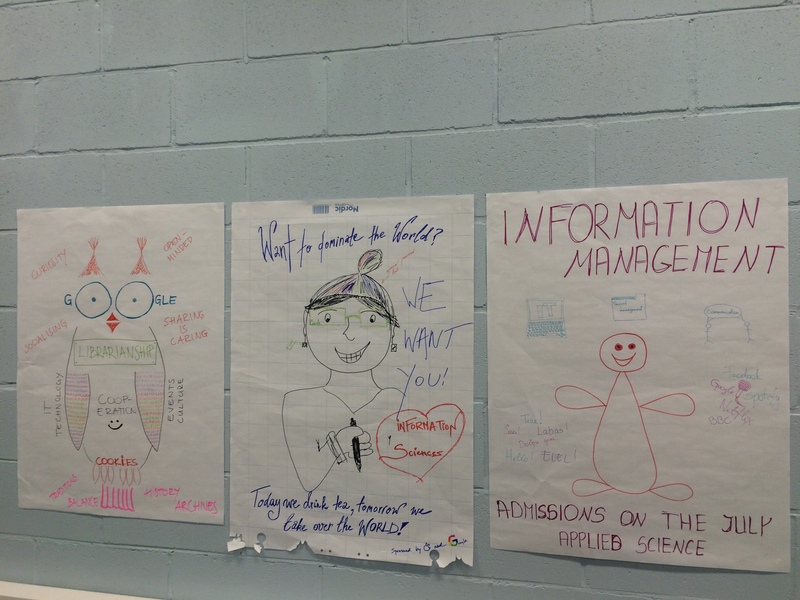 Iepriekšējā ziņa Project “Librarians Around the World” is in progress! Nākamā ziņa Latvijas pārstāvji piedalās BOBCATSSS simpozijā jau 17. reizi!